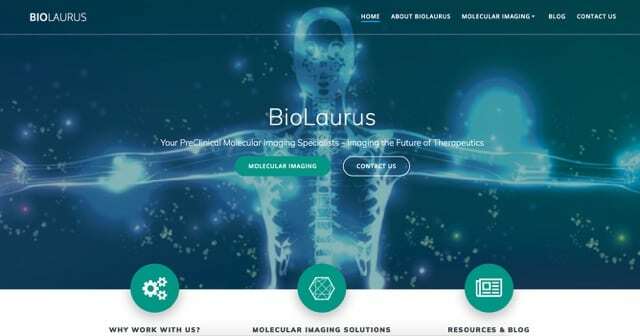 We at BioLaurus our announcing our fresh, new website – redesigned to better represent our Preclinical Molecular Imaging services we provide. We are focusing on services and assay development that better align with your projects and the way you work. If you are in drug development, you will likely need preclinical molecular imaging – our flexible, de-centralized business model puts you in touch with world experts in imaging, at various academic and industrial institutions globally. Many modalities to choose from – we’ve got you covered. And we have fun doing it! We work with you on study design, targets, desired outcomes. And we are a resource for you as well – our blogs are light and witty – adding some humor to your daily grind in the life sciences. Our website will soon provide you with checklists, guides, and more – to help with your preclinical work. Our new approach is more integrated with you than ever before – utilizing our expertise (and that of our network), we co-design the studies with you, also working with you and your team as much (or as little) as you wish – our new “Hybrid Integration” model which seamlessly drives your study results. Want more? Sign up for our newsletter. Be the first to receive cutting-edge (and cost-cutting) news, publications, resource information, tips, regulatory announcements and more! We shine the light on what benefits your work in preclinical drug development. Your goals are important – we can get you there! Previous: Previous post: Cat got your tongue?